I have never tasted anything like this before. It has the appearance of German sausages, but it tasted like Thai herbs and spices. So so delicious. 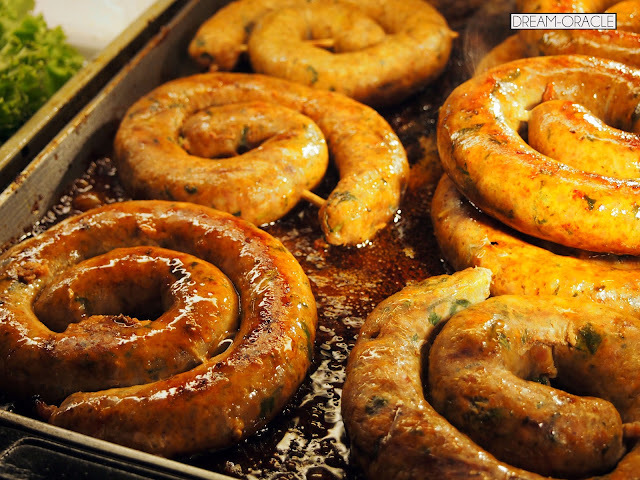 The sausages were spicy, appetizing and had the fragrance of Thai herbs. They were juicy and you can enjoy them with lettuce to balance out the heat from the spices. When I saw this, I knew I had to get it. I am not a fan of doughnuts, but I have heard too much about Krispy Kreme to pass it up. The Original Glazed will do nicely. The dough was soft and fluffy, and the glaze wasn't too sweet. Perfection. 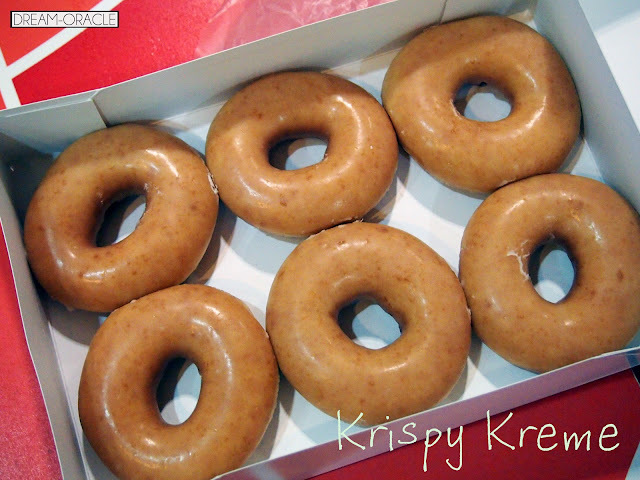 I have finally found it in Krispy Kreme. Siam Paragon is a fairly high class shopping center, with huge foreign brands. But don't be fooled, their basement food street is actually very exciting. All sorts of Thai snacks and western cakes, cafes and ice creams. Their supermarket is really huge and interesting too. So if you're in the vicinity, do drop by to visit their food street. The sausages were really tasty. 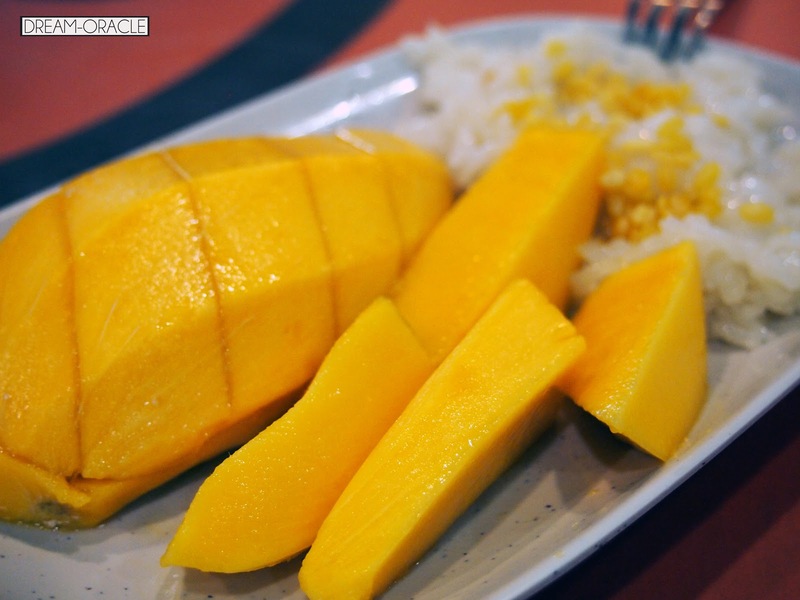 I don't eat sticky rice, but that doesn't stop me from ordering this because...I can still eat the mangoes. Thailand mangoes are the best. Ultra sweet and ultra juicy. MBK should be a familiar name with all those who visit Bangkok often, and of course no stranger to the MBK food court on Level 6. The Claypot Beef Kuay Teow there is to-die-for and I've heard the other dishes are really good. There's a huge variety of Thai food there, and if you venture outside the foodcourt, you can find cheap Bangkok Bird's Nest on the same level. This is a very obscure stall, hidden in an alleyway, right in front of my hotel. The first day I arrived, I smelled the fragrance coming from the chicken. 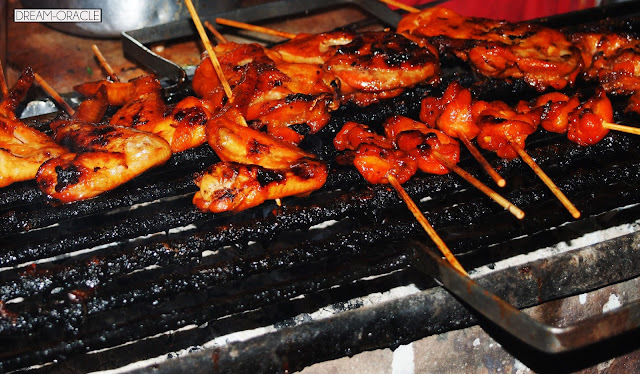 They were peng-kanging satay! I told myself I will try it the next day. But they weren't open! Darn. But good thing was, they were open on weekdays. After a day of intensive shopping at Platinum, we had no more energy to go anywhere. All energy were used for shopping, and now I have none left for dinner. Tsk. Thankfully, they were open for business! 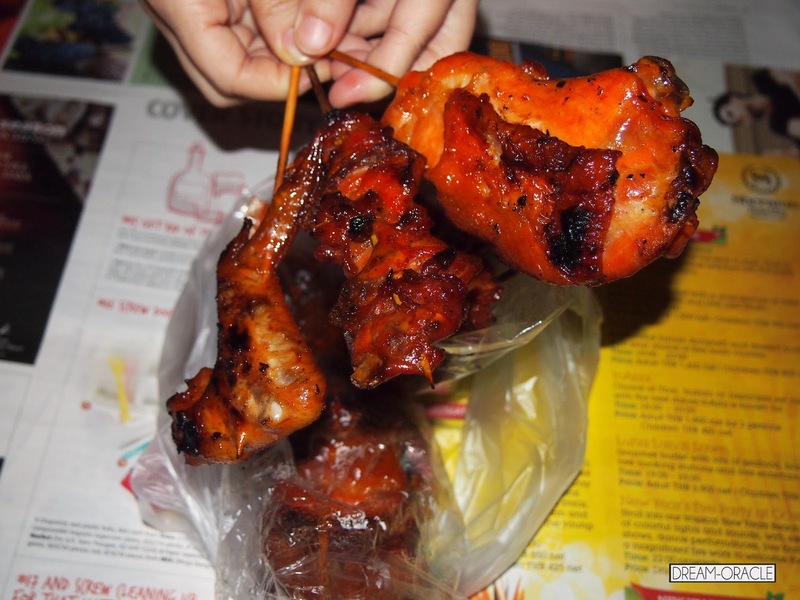 We went upstairs to relieve ourselves of the baggages, then went downstairs to buy chicken satay. We bought 2 sticks of wings, 2 sticks of drumsticks, 1 stick of breast, and 2 sticks of some marrow thingy. Now it's off to the room for our own mini party! I was starving, I believed I ate 3/4 chicken that night. HAHA, yeah amazing I know. I'm usually a 1/4 chicken person. But I devoured everything in my sight. There was a sweet spicy chilli dipping that came with the chicken, and it was sooooo good. It's kinda tangy, so you won't feel too heavy eating all the meat. The spiciness also wakes you up. The next time I visit Bangkok, I'm definitely patronizing this stall again. I just realized I rank all 3 as foodie heavens, oh well.. you'll be hard-pressed to find horrible food in Thailand anyway. Except maybe Platinum, as featured in the previous post. Not very pleasing lol. 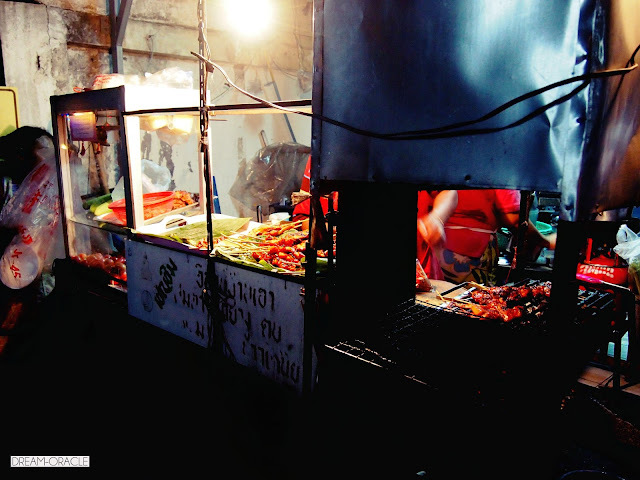 More food posts coming up featuring Chatuchak Market and Ban Khun May!